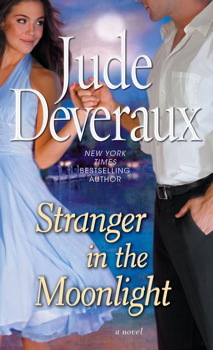 In the second novel in her bestselling Edilean trilogy, Jude Deveraux returns to the idyllic Virginia town where three best girlfriends joyfully reunite as they each seek out their heartfelt dreams and desires. Kim Aldredge is delighted that her dear college “sister” Jecca has found lasting love with Kim’s cousin Tristan. But despite her flourishing jewelry-making career, Kim’s own happiness seems as distant as the childhood summer when she played the hours away with young Travis Merritt, who came to Edilean with his mother under mysterious circumstances. At the end of that innocent season, he promised Kim he would return one day . . . and then vanished without even a goodbye. Years later, a worn photo is Kim’s only proof of the perfect joy they shared. But when she least expects it, Travis, now a savvy Manhattan attorney, will crash into her life once more. Will Kim see the boy she knew under the man he’s become?